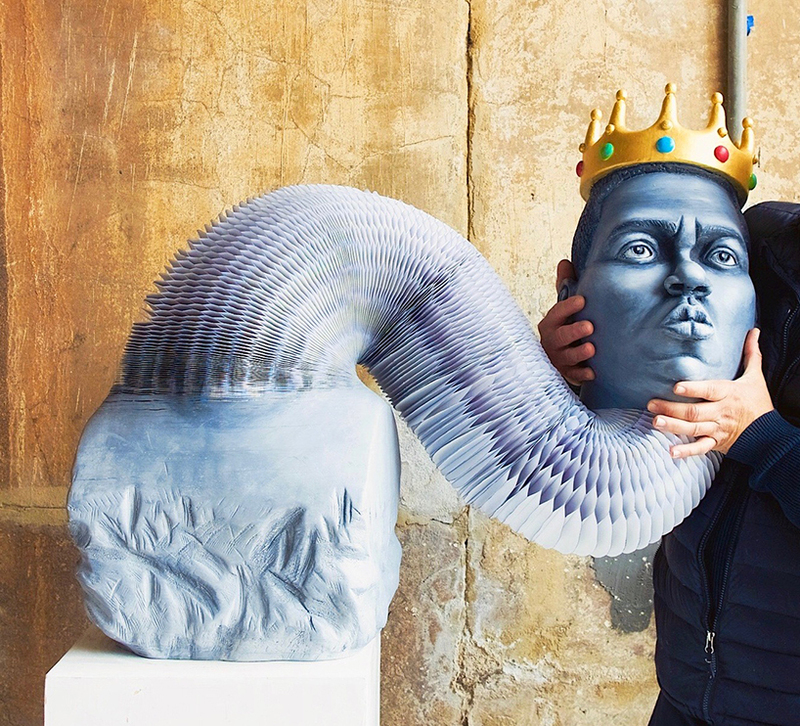 New York based artist Felix Semper's stretchable paper sculptures at first glance appears to be a stone bust, when in fact this sculpture of Notorious B.I.G. is entirely comprised of hundreds of layers of paper that have been glued together and meticulously carved. 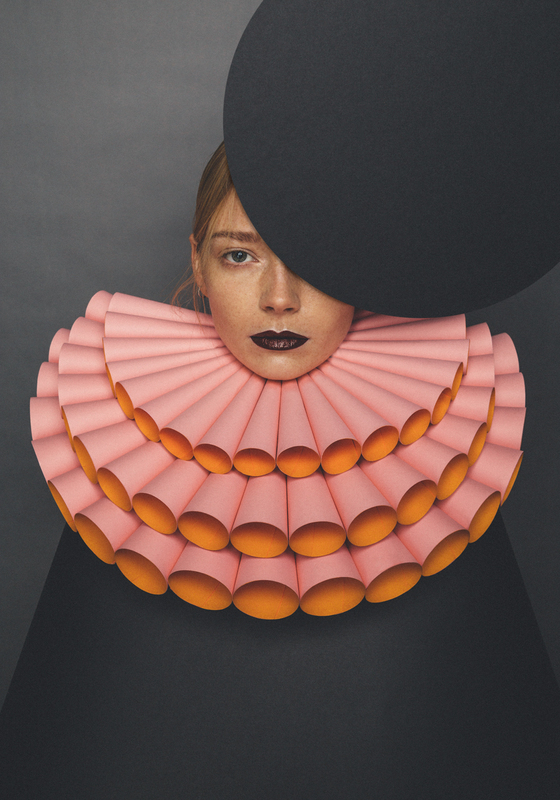 Felix’s stretchable paper sculptures are inspired by traditional marble stone busts. Through this fluid movement each sculpture has an added playful mobility as opposed to the traditional aesthetic. He has transformed the medium to stretch, twist, elongate and retract. 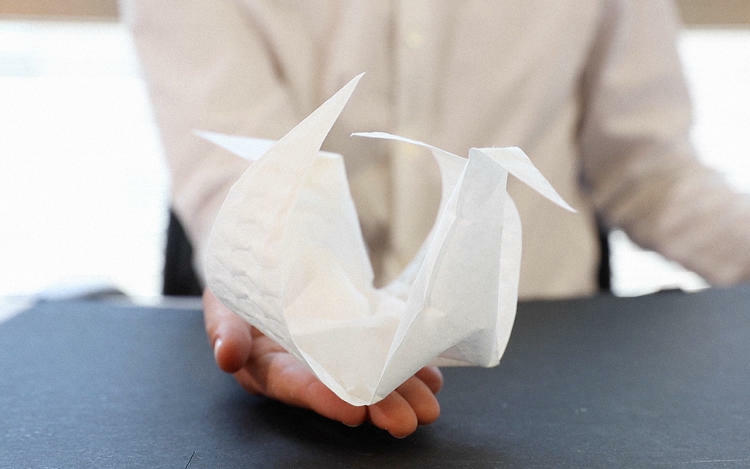 Robert J. Lang is an American physicist who is also one of the foremost origami artists and theorists in the world. He is known for his complex and elegant designs, most notably of insects and animals. In 2001 he quit his job at NASA to focus his passion: the art of paper folding. 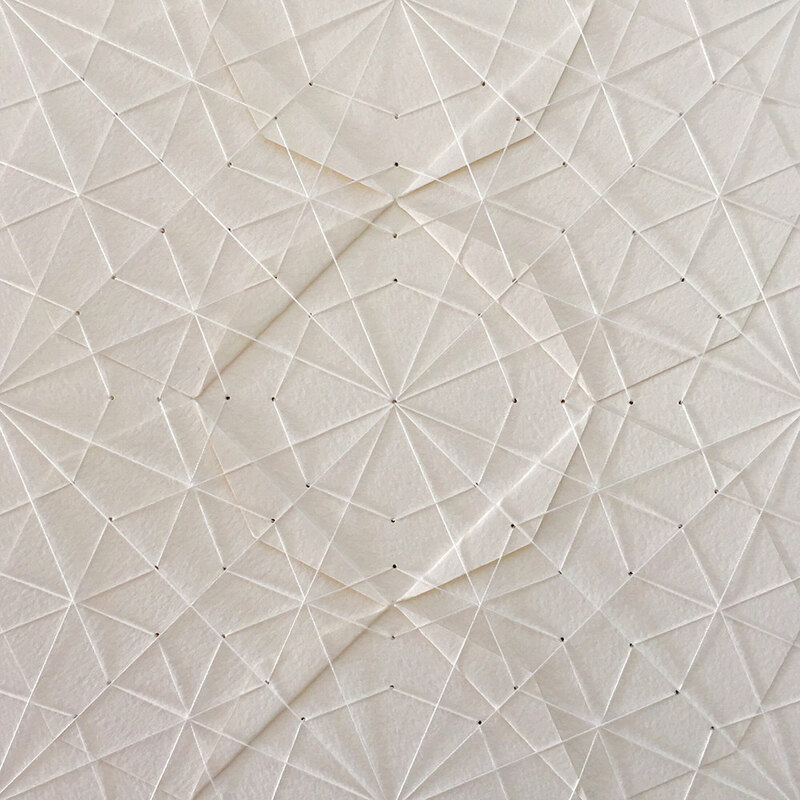 With a deep understanding of mathematics and materials, Lang’s origami designs have been incorporated into everything from spacecraft to airbags. 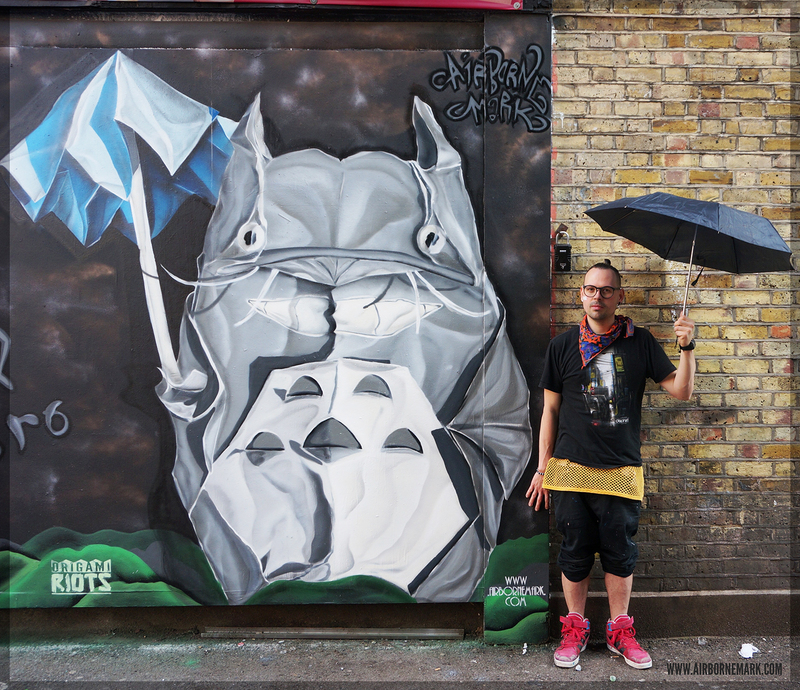 His works aren’t limited to functional objects, he’s also produced a wide range of original artworks that have been exhibited around the world. The Great Big Story recently sat down with Lang for this brief interview. One thing I love, origami! I mean, we have all seen what you can do with origami, from complex tessellations to the traditional paper crane. If you love origami too, then you will love these miniature origami sculptures by Origami Minimal, an artist based in Korea. Her collection of origami is a bit different however, they are unique miniature paper sculptures that have been carefully folded into branded items that we all know and love. 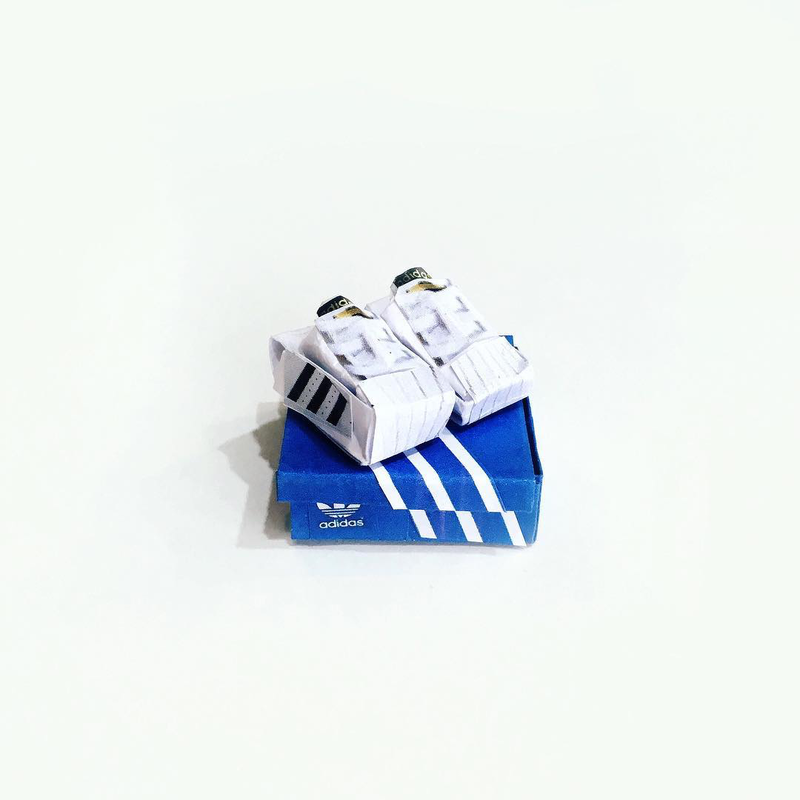 For instance the classic pair of Adidas on a mini shoebox shown above, or a Polaroid camera after it has just taken a snap, and even a mini Vespa, and so much more! Filling something with air is a useful way of transforming an object—provided you can do so precisely. We see it in something as simple as a balloon or even the airbag in your car. The students at MIT's Tangible Media Group have created Aeromorphs, a new technology that creates origami-like inflatables that can transform in unique ways when filled with air, opening the door to new kinds of toys, wearables, packaging methods, safety systems, and much more. If you are looking a video that will completely soothe you after a stressful day, 'Diffusion Choir' is just the one you are looking for. It showcases a kinetic sculpture commissioned by Biomed Realty for its building at 650 East Kendall Street in Cambridge, Massachusetts. Sosolimited partnered with Plebian Design and Hypersonic to design, program, and fabricate this unique paper installation. The sculpture itself celebrates the organic beauty of collaboration by visualizing the movements of an invisible flock of birds. 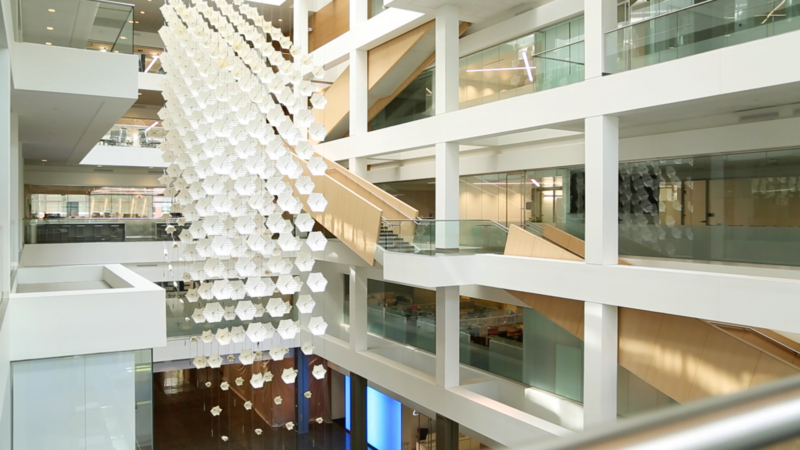 400 folding elements comprised of Tyvek form a hanging volume in the sunlit atrium. 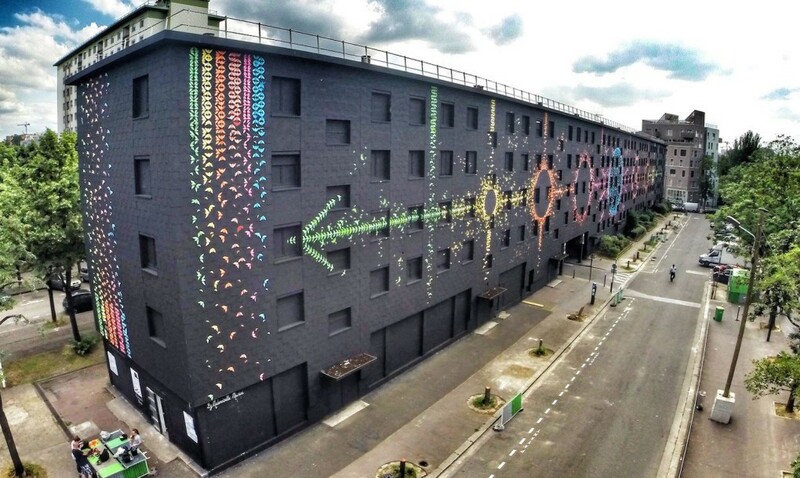 Each element can independently open and close, controlled by custom software running a flocking algorithm. The orizuru, or paper crane, is a design considered to be the most classic of all Japanese origami. It is a representation of the Japanese red-crowned crane which has a special significance in Japanese culture and a thousand orizuru strung together is called senbazuru, meaning "thousand cranes". Artist Cristian Marianciuc has taken this timeless and traditional creation and has embarked on a journey himself, where he has been folding and decorating one origami paper crane for each day of the year with its purpose to serve as a personal yet public daily journal, capturing his daily events and feelings. He began this project January 1st, 2015, and his works include a wide array of paper cranes adorned with flowers, cartoon characters, paint daubs, beads, or transformations into ornate creatures such as butterflies or even architectural structures like the Thiên Mu Pagoda from Vietnam (pictured above). 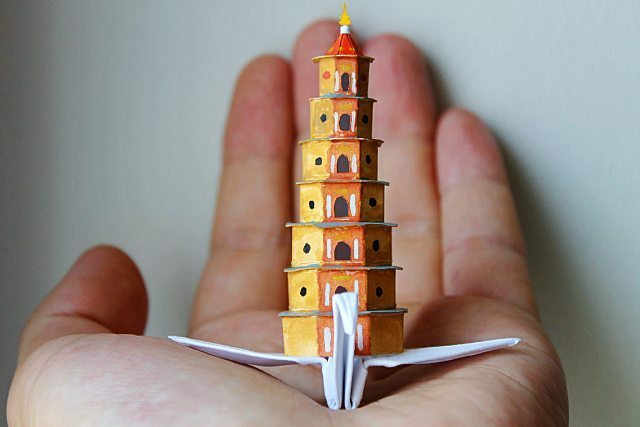 All in all these beautiful structures are beyond astounding and the sheer patience and creativity it takes to create just one of these unique paper birds is breathtaking.